At Aabasoft we are we are well equipped to develop enterprise grade cloud applications and solutions because of our earned experience in creating hundreds of solutions across the world. Our solutions consistently deliver rich and proven functionality which is optimized for a stable user experience and integrated backward information reporting. Our Solutions are portable and this flexibility helps business owners with confidence to scale up and down according to requirements. The cost of development and testing can be reduced using cloud computing. In the old style test development systems, companies need to arrange an environment for each development and test project. Various test systems may have diverse functions, stabilities, or performances and thus, software and hardware configurations will differ accordingly. According to a cloud test development platform, all the memories, servers and networks desired in test development are pooling-managed; and through the technology of virtualization, each development or test project is given with a logical hardware platform. Also, the cloud can provide an environment for new projects. And it can automatically provide end users with IT resources, thus through assimilation of the development test project; the hardware speculation will be seriously decreased. When users think about cloud computing, the main concern is about its security. According to with the internet data centers, enterprise data centers, and service providers offer racks and network only, and the remaining devices such as firewalls, servers, software and storage devices, etc., have to be prepared by users themselves. 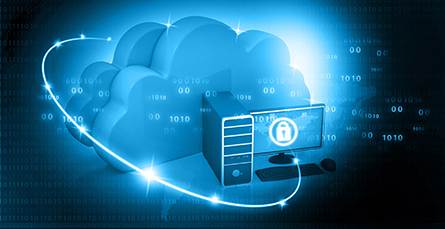 We Aabasoft always ensure a strict security set up in the cloud applications development. Our cloud technology solution in financial management caters the needs in all levels, i.e. from a small business establishment to a big corporate network with more than 500 employees and numerous departments.While an end user has a complex task, then he has a clear general review of the architecture and the system, thus fact of being positioned the design of data security under his control. Some of the users use the corporeal segregation to defend their servers. Under cloud computing, the backend source and management architecture of the service is imperceptible for users. Without corporeal control and access, the users would obviously question the safety of the system. WAN akin similarity to data security in a Cloud is in financial institutions where customers credits his cash bills into an account with a bank and thus no longer have a corporeal asset in his ownership. He will trust on the technology and financial reliability of the bank to protect his effective asset. Likewise we are supposed to see an evolution in the getting of placing data in corporeal locations out of our reach but with a trustworthy benefactor. 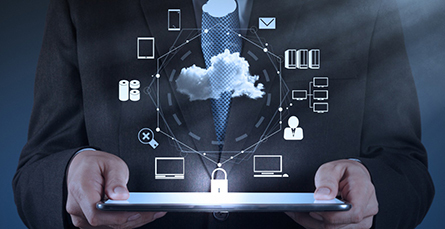 We have attained the faith with the end users of Cloud and the architects of Cloud computing solutions definitely designed sensibly to defend data security among end users, and between service providers and end users. The confidentiality of user storage data. User storage data cannot be observed or altered by other people (together with the operator). The user data confidentiality at runtime. User data cannot be observed or altered by other people at runtime (encumbered to system memory). The concealment when transmitting user data through network. 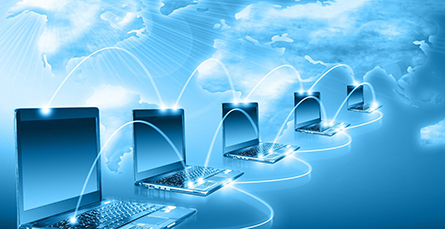 It contains the safety of relocating data in cloud computing center intranet and internet. It cannot be observed or altered by other people. Authentication and authorization desired for users to access their data. Users can access their data through the precise technique and can permit other users to access. We provide the cloud storage service as a business that maintains and manages the customer's data and makes that data accessible over a network, usually the Internet. The applications hosted in "the cloud" and can be used again and again for covering an extensive range of tasks for both individuals and organizations. It is an added advantage for cloud applications. Software can be managed form a central place. There is no need of additional hardware cost ,No need of initial setup cost, client pay for what they use, scalable usage; storage demand further can be accessed without installing new soft wares or hardware's. We also provide Database as a Service in cloud applications.DBaaS will give your organization everything you need for the deployment of a mission critical application through a simple model and our experts ensure that all areas from storage and backups to tuning and security have been taken into consideration delivering a true 'enterprise class' database environment. Infrastructure as a Service is one of the fundamental service model of cloud computing. In the case of Infrastructure as a Service the computing resource provides a computing infrastructure for the applications in a virtualized hardware. We are one of the leading cloud application developers in our area of Kochi, Kerala, India. Customers keep more confidence on us in handling their data and applications in cloud. They are always fee from responsibilities if they give us the task and we are responsible inn handling each cloud applications for the customer.